Why Resist a Good Story? I am such a sucker for a good story – and with Valentine’s Day looming ever so close, I wanted to share a little story that I heard yesterday while speaking to Lillian Reyes, a teacher who brought her 7th graders from Har Sinai Congregation to the JMM to learn about the life in Baltimore during the Civil War and the connection between Rabbi David Einhorn, Har Sinai Congregation and slavery. Rabbi Einhorn & Har Sinai’s Civil War home. I asked Lillian how the morning was going and she mentioned that she loved the Jewish Museum of Maryland and was very excited about bringing her class to the Museum- as the JMM was where she met her future husband. Lillian, a recent transplant to Baltimore was single and was looking for fun things to do and places to meet other Jews. She had previously been to “Late Night on Lloyd Street” events at the JMM and a friend suggested attending a B’nai Israel young adult program “Pizza in the Hut” during Sukkot (September) 2013. Lillian met Marc Soloweszyk in the crowded room, hit it off right away and spent the entire night talking! After a beautiful courtship during which they both realized how perfect they were for each other, Marc wanted to propose, but hadn’t figured out just the right place to do it. On December 27, Marc took Lillian for a surprise evening in downtown Baltimore and while walking down Lloyd Street, reminisced about the night they had met. Suddenly, he was on one knee with a ring in his hand, asking Lillian to marry him. 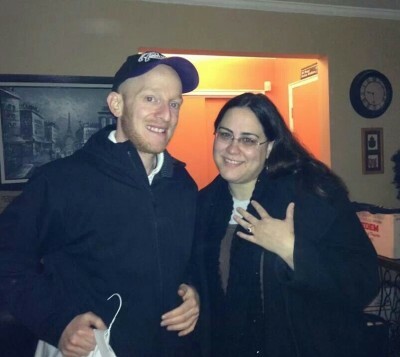 After briefly hyperventilating and a random “Congratulations!” shouted from a passing car, Lillian said “Yes!”. Marc put the ring on her finger and they stood in front of the entrance to the Jewish Museum/Bnai Israel and all of the sudden fireworks over the Inner Harbor, lit up the sky. 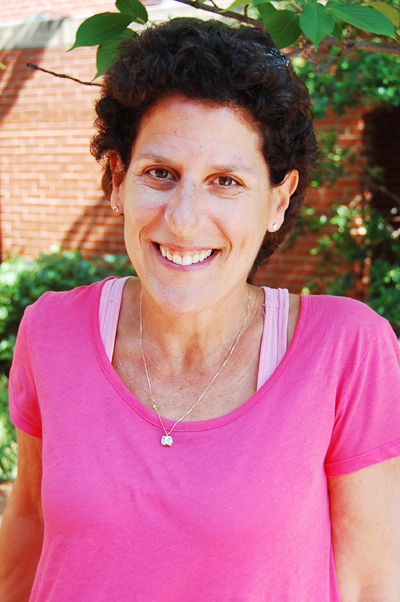 A blog posy by Education Director Ilene Dackman-Alon. 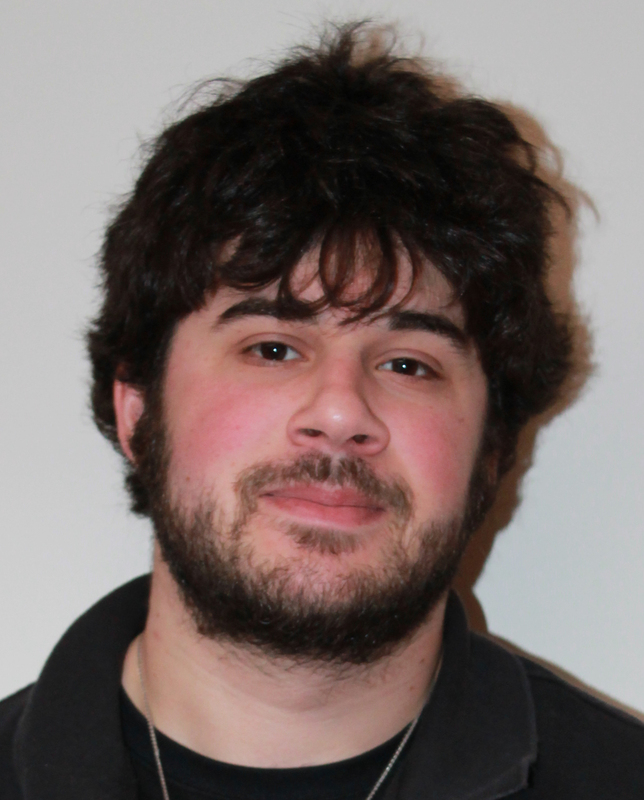 A blog post by Exhibitions Intern Todd Nesson. Todd is working with Karen Falk on our upcoming exhibition Passages Through the Fire: Jews and the Civil War. You can read more posts by Todd and other interns here. Aaron Friedenwald was expressing his sentiments to his largely pro-Southern family when he wrote the above quote. At the time, Aaron had been traveling in Europe to continue his medical education. He was shocked to learn of the outbreak of hostilities between the Union and the Confederacy and urged his family to recognize what he saw as the folly of the Confederate cause. Aaron’s arguments failed to sway his family and following the Pratt Street Riots, Isaac Friedenwald, one of Aaron’s brothers, went off to fight for the Confederate armies while the rest of his family continued to support the Southern Cause. Following the riots, Baltimore found itself placed under martial law. 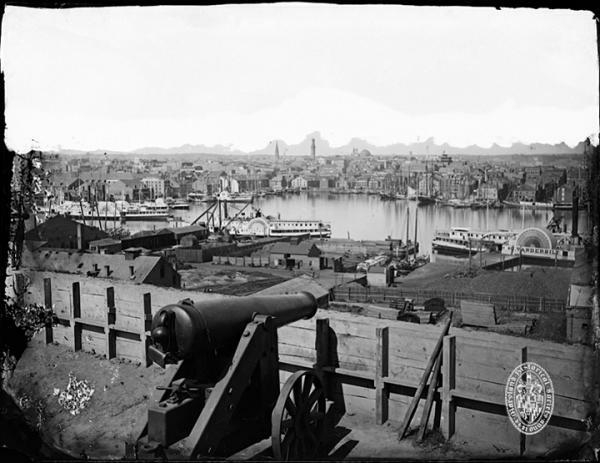 The State Legislature was disbanded to ensure no votes of secession could take place and the guns of Fort McHenry and Federal Hill were pointed inward at the city to ensure its compliance. 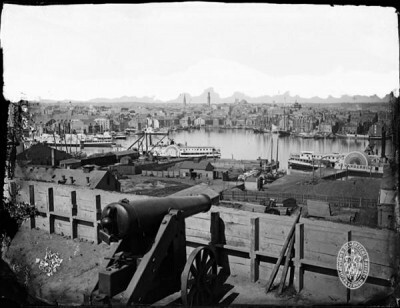 Just as Aaron recognized the strong Confederate leanings of his family, the Federal Government saw the strong Confederate leanings of Baltimore and provided their poignant reason for not revolting. 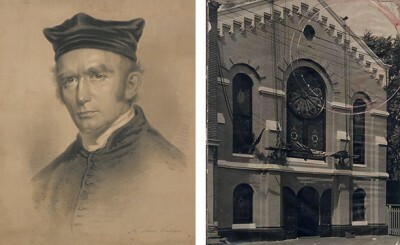 Image courtesy of the Maryland Historical Society. As noted, the Jewish population in Baltimore (and across the country) was not immune to the division gripping the country. Sometimes these divisions led to rather public arguments between members of the Jewish community. One in particular involved Baltimore Hebrew Congregation. The congregation found itself increasingly in the limelight due to its bombastic, pro-abolitionist and pro-Union Rabbi, David Einhorn. Einhorn would use his newspaper, Sinai, and his pulpit to counter the arguments of Pro-slavery clergy in the Jewish community. 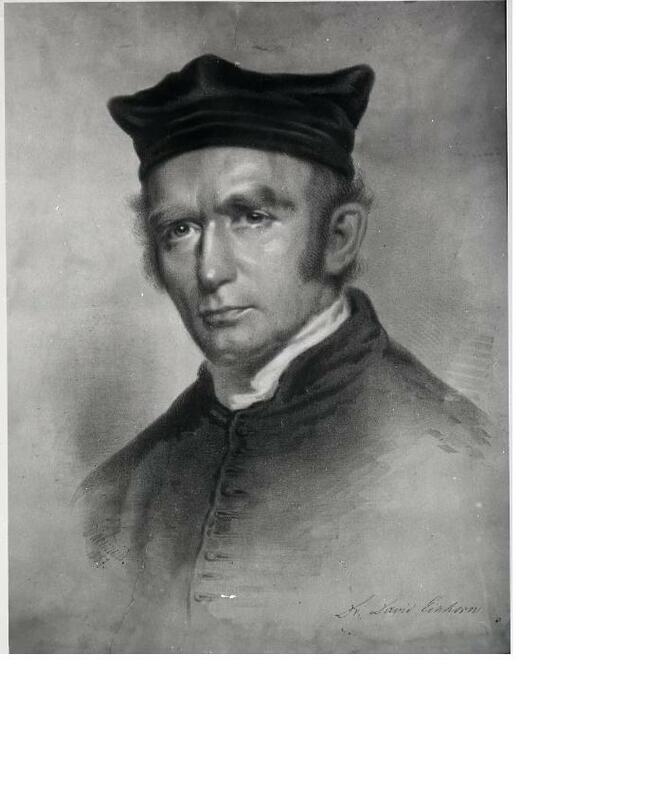 These pro-slavery clergy included Rabbi Raphall of New York and Rabbi Illowy of Baltimore. Following the Pratt Street Riots, Einhorn fled Baltimore to Philadelphia due to the strong possibility that he would be attacked for his pro-Northern views. Once there he would continue his support of the Union and abolitionist causes. 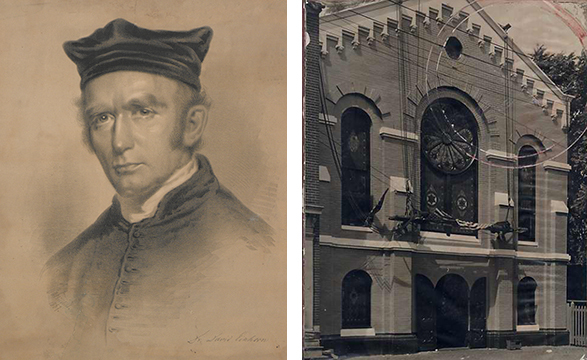 Following the war, he headed to New York City became the Rabbi for Congregation Adath Israel. Some Baltimore Jews, such as Leopold Blumenberg would put their prior military training at service of their new country. 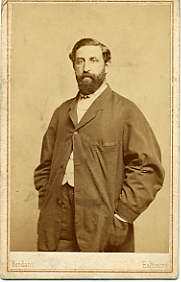 Blumenberg immigrated to Baltimore in 1854 after leaving the Prussian Army. At the time he had risen to the rank of Lieutenant but was unable to progress further due to the rampant anti-semitism in the Prussian army. 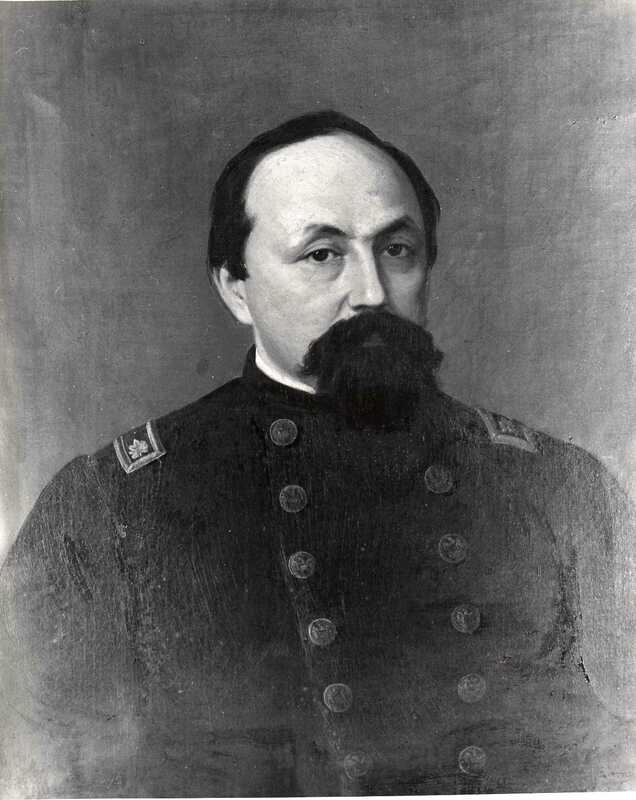 When hostilities broke out, Blumenberg volunteered with the 5th Maryland Regiment and rose to the rank of Major. At the battle of Antietam he was wounded in the leg and given an honorable discharge along with an appointment as Provost Marshal of the second Maryland District. Jews were found on both sides of the conflict during the Civil War, taking up the Blue and the Grey for reasons similar to those of their non-Jewish neighbors. The fires of war would help to forge and shape the Jews of America through politics and warfare, both at home and on the battlefield. Baltimore, due to its location on the dividing line between the Union and Confederacy found itself providing a turbulent atmosphere in which many Jews were forced to decide where they stood on the pressing matters of secession, slavery, and the future of the country that they had traveled so far to become a part of. Support the JMM and all we do – donate today!